Check out our extensive portfolio of short, brandable domain names, popular keyword domains and existing websites which are perfect for businesses in many of the top industries on the internet including shopping, marketing, dating, mortgages, insurance, health, jewelry, financial and software. Many of these websites and domain names are already listed in the search engines with business listings. We have a number of domain names currently priced to sell. We register high traffic domain names and develop new websites every day so please check back often for our latest available domain names. See our Portfolio of over 1,000 domain names for sale with Buy It Now Prices. We focus on premium small business domains and branding opportunities. View our list of trending business and keyword domain names that will improve your business exposure and strengthen your brand. Modern Domains has been buying and selling premier domain names since 1998. We are proud to provide affordable prices for high quality domain names for businesses who are looking to make a real impact with their online branding. Don't settle for a long, confusing website name. Get a short, memorable URL that your potential customers will easily remember. Make an impact with a powerful, dynamic domain name. In addition to our huge inventory of domain names for sale, we provide domain consulting services to help you find the perfect domain name for your business. We utilize custom tools to discover suitable domain names for your business, website or blog that are still available. 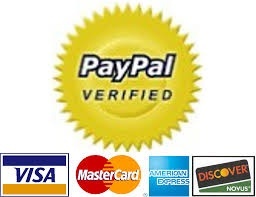 We provide fast, secure transactions with Paypal or Escrow.com, who is the premier third party escrow company. 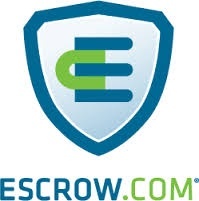 Escrow.com is great for big purchases because the buyer is completely protected. We provide a risk-free guarantee on all purchases. We are long time members of the domain forums at NamePros.com and DNForum.com. Be the first to see the available domain names! Join the Domain Name Update. You can contact us here via email. Or call Paul at 323-742-0930.